It's not paranoia if they're really after you. 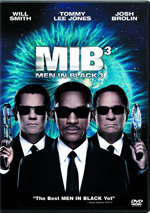 Will Smith stars as attorney Robert Clayton Dean, a man at the center of a high-stakes pursuit when he inadvertently comes into possession of secret information implicating corrupt officials within the government. Academy Award-winner Gene Hackman plays a mysterious information broker who comes to Smith's aid in this dynamite thriller. $20.038 million on 2393 screens. Another day, another Jerry Bruckheimer movie to review. I've often defended his films, though not so much because I'm a big fan; none of his pictures are very high on my "all-time favorites" list. Instead, I do so due to the fact that his work gets so widely bashed for being dumb and improbable/impossible. In my opinion, those critics miss the point, as Bruckheimer films function as nothing more than an exciting escape. Do these people criticize rollercoasters because the rides never made them think? 1998’s Enemy of the State largely avoided these criticisms. In part, this may be due to the fact it came so close on the heels of Armageddon, one of the Bruckheimer foes’ favorite targets. However, the absence of attacks has a lot to do with the fact that Enemy actually offers a thought-provoking scenario: where is the line drawn between the public's right to know and a person's right to privacy? Usually these discussions focus on issues that relate to public figures. For example, just how much about the president's private life do we deserve to know? Enemy, on the other hand, takes a much creepier view at the subject by demonstrating the ways that technology could be used to infiltrate and destroy a person's life. This isn't new territory, as The Net looked at this a few years earlier. Nonetheless, Enemy succeeds with a style and excitement that previous examinations of this subject lacked. It offers just enough brain fodder to provoke you, but it still keeps its focus where it counts: on the thriller aspects of the tale. As I've said in the past, Bruckheimer usually knows his strengths and plays to them. If the audiences think the films are stupid, so be it, but don't fault him for doing what he does best. Director Tony Scott enjoyed a decent run with Bruckheimer, especially in the Nineties. His Crimson Tide remains arguably the finest Bruckheimer film to date. Both that film and Enemy share a similar formula: interest the audience with a thought-provoking issue and keep them enthralled with gripping action and tension. Don't get me wrong: Enemy is probably not one of those movies you'll feel compelled to discuss for hours with friends. At best, you'll probably think, "Oooh! Creepy!" as it ends, and then you'll flip on a ballgame. Still, it does deserve credit for at least attempting to posit something of a social issue, which is more than we get from most films. Probably the most fault that can be found with Enemy stems from its view of the US government as some sort of organization that can actually pull off a good conspiracy. One of the biggest flaws with theories about the government's alleged cover-ups of Roswell or of the Kennedy assassination stems from the fact that so much ineptness occurs daily in that organization. If they couldn't keep the Watergate break-in a secret, how in the hell have they kept the lid on such hot button issues as those? This all-powerful government makes for fun movie fodder, but it's completely out of touch with the realities of the situation. Technologically, Enemy seems rather suspect as well. I'm no expert, but I have my doubts about a lot of the methods on display in this film. Did they exist – at least as of 1998 - and could they be used in these ways? Maybe, I guess. Is it likely that we'd reached such a high level of technological sophistication and flawlessness in 1998? Not really. Still, I have to come back to my original approach: no one said this was a documentary. Enemy is supposed to be an exciting thrill ride of a movie, and it succeeds. It's interesting to note that it can't be called a "whodunit," because we see the culprits right from the outset. 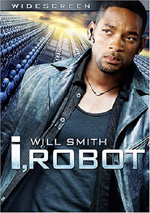 The tension in the film completely revolves around discovering how our hero, Robert Dean (Will Smith), will eventually emerge from the villains' clutches. Is there ever any doubt that he will win? Nope. But the fun comes from the ways that he does it. I thought Enemy offered one of the more clever and entertaining conclusions that I've seen from this kind of film. As would be expected in a Bruckheimer film, production values are topnotch and it includes a strong cast. The Bruckheimer formula insists that the actors include a number of big stars, and Enemy doesn't falter in that regard. Smith does some of his best work as Dean. He keeps the smartass charm racheted down a few notches and creates a believable character. Unlike his roles in Independence Day and Men in Black, he lets himself come across as much more human and fallible here. Gene Hackman also does his usual strong work as the mysterious Brill. Although they don't spend all that much time onscreen together, he and Smith create a nice chemistry between themselves. Scott does a competent job in the director's chair. I don’t think much of him as a director overall, but he manages to hold his own and he keeps the movie proceeding at a nice clip. There’s not a lot about Enemy of the State that seems remarkable, but the movie balances issues, action and suspense well enough to keep us interested. Enemy of the State appears in an aspect ratio of approximately 2.35:1 on this Blu-ray Disc. This was a pretty mediocre presentation. Sharpness was usually decent, though the use of digital noise reduction affected clarity. Closer shots seemed fine, but wider elements tended to come across as somewhat soft and tentative. I noticed no issues with jagged edges or shimmering, but I saw examples of edge haloes. As for print flaws, sporadic specks cropped up but nothing major marred the image. Colors looked fine, though they could be somewhat murky. Exteriors showed good vivacity but interiors tended to appear on the flat side. Blacks were similarly dull, and shadows seemed a little too dense. This was an early Blu-ray and it showed its age. On the other hand, the uncompressed PCM 5.1 soundtrack of Enemy of the State seemed consistently strong. I expect lively audio from Bruckheimer action extravaganzas, and while Enemy wasn’t as wild as something like Armageddon, it still worked very well. The soundfield used all five channels to good effect. Vehicles dominated the more action pieces, as helicopters, cars and other objects moved about us cleanly. Gunfire and the like also featured prominently, and the mix helped form a nicely three-dimensional impression. Music boasted good stereo imaging as well, and the surrounds displayed a lot of information. No problems with audio quality occurred. Speech was consistently natural and concise, and I noticed no edginess or other flaws. Music sounded bright and dynamic, and effects followed in the same vein. Those elements appeared clean and accurate, and they boasted very nice bass response. Low-end was smooth and deep. All in all, this was a strong mix. How does the Blu-ray compare to the 2006 DVD? Audio was a bit bolder, and visuals seemed tighter and more concise. Despite the issues that accompanied the Blu-ray’s transfer, it still offered a step up in quality. When we head to extras, we begin with four deleted scenes. These include “Jones Gets Bitten” (43 seconds), “Confrontation at the Limousine Service” (2:08), “Dean Searches for Brill on the Ferry” (2:02) and “Fiedler Digs the Nanny” (0:52). The first just shows a little more of the break-in at the Dean home, while the second extends Dean’s attempts to settle his problems. These become mildly interesting additions but nothing memorable. The Making of Enemy of the State fills 29 minutes and 14 seconds. It offers the standard combination of movie clips, behind the scenes shots, and interviews. We hear from director Tony Scott, producer Jerry Bruckheimer, tech advisors Steve Uhrig and Marty Kaiser, technical advisor Harry Humphries, Controlled Demolition Inc. president Mark Loizeaux, mechanical effects coordinator Mike Meinardus, and actors Will Smith, Regina King, Gene Hackman, Lisa Bonet, Jake Busey, Jamie Kennedy, Barry Pepper, Jason Lee, and Jon Voight. “Making” examines modern surveillance technology and its use in the movie, the National Security Agency and its depiction, legal issues, cast, characters, and performances, the relationship between Scott and Bruckheimer, locations, physical challenges, stunts and explosions, and hopes for the movie’s reception. “Making” is as non-specific as its title. It keeps matters fairly general and doesn’t provide a strong view of the film’s creation. It works better than most features of this sort, but it doesn’t make much of an impact. Entitled All Access: The Showdown, the next featurette goes for 13 minutes and 19 seconds. This looks at the film’s climax and consists entirely of raw footage from the set. We see cast and crew as they shoot the violent sequence. I enjoy this sort of piece and think this one is interesting to see. In addition to the film’s trailer, we find Movie Showcase. With that, we’re told we’ll get “instant access to the filmmaker’s most cinematic moments that showcase the ultimate in high definition picture and sound”. What this means is that we find an alternate form of chapter search, as the “Showcase” links to three short clips; these run a total of five minutes, 40 seconds. The “Showcase” feels pointless to me. Note that the 2006 DVD offered an extended version of the film, whereas this Blu-ray includes only its theatrical cut. I don’t regard that as a tragedy, for I didn’t feel the longer edition improved the movie. 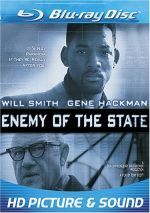 Enemy of the State offers one of the better flicks from the Bruckheimer factory. It presents an intriguing concept that’s gotten even more relevant over time, and it includes more than enough action to maintain our interest. This Blu-ray offers excellent audio but visuals seem lackluster and we don’t get many bonus materials. I enjoy the movie but think this becomes a mediocre release.